Simply parsing out the values from a given field is useful, however, some of the other important Date and Time formulas that Infowise provides for us can do more customizable tasks such as calculate the difference between two date columns. 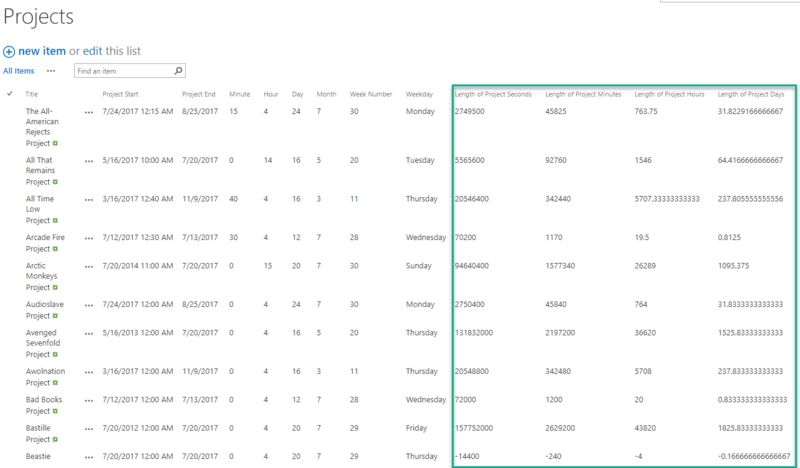 In this example, we will use the same Projects list from part one with the Project Start and Project End Columns to test these formulas. Next, navigate back to your Infowise Design Screen and to the Actions page inside the Configure Business Logic section. Leave the default Action type of Update list item and give your action a descriptive name. Similar to before, we need to test this action manually so uncheck all of the Run-on events at the bottom of the tab. 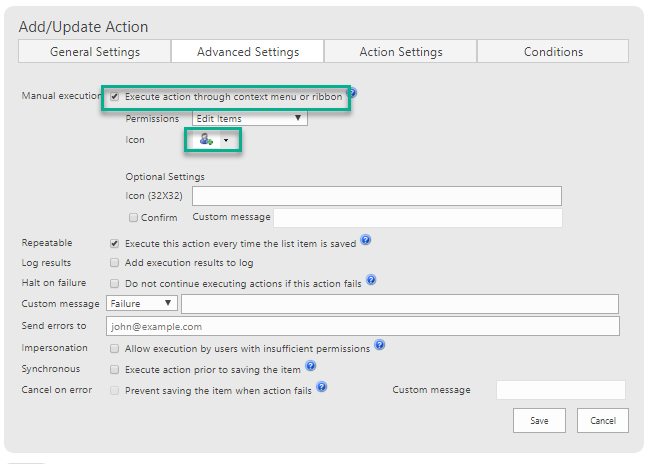 Now, lets move to the Advanced Settings tab and select the Execute action through context menu or ribbon button. Since we now have more than one action on this list running through the ribbon, go ahead and select a different icon as well. No conditions are necessary but remember to save your action. Navigate back to your list to test the actions we just built. Select some amount of records and then click Run Actions from the Items tab above. 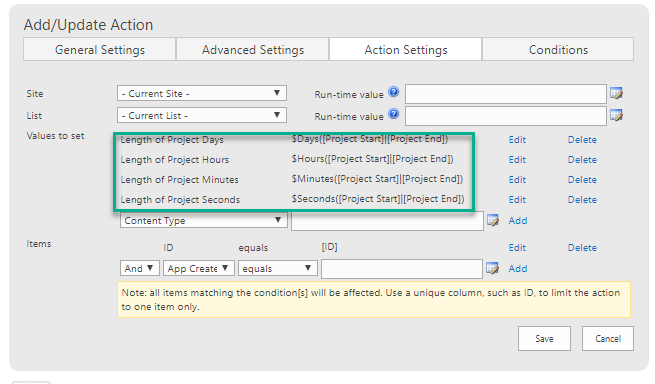 Select the Length of Project action from the pop-up window that appears. Click the icon and wait for Infowise to complete its calculations. Infowise will again take some time to calculate each of these values for us and we will be left with a list similar to the picture below. In this example, we discussed the Infowise date functions that can be used to find the difference between DateTime columns. This information is invaluable for project tracking and reporting purposes!